The Journal of the American Headache Society published a report that people who suffer from frequent headaches, as well as those with a long history of migraines, are at a higher risk of suffering from progressive brain damage. 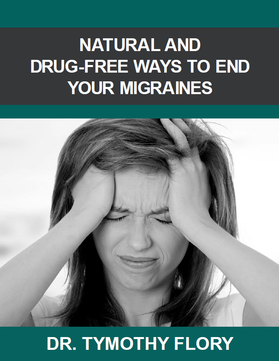 That’s according to research done by a team of scientists from the Netherlands who identified 28 migraine sufferers. During their research, they examined the brains of those 28 patients using a high-resolution magnetic resonance imaging (MRI) system. The result of their findings was that those patients who suffered three or more migraine attacks every month showed significantly more abnormalities that those who suffered less than three. Their findings were the same for those patients who suffered from a history of migraine headaches for at least the last 15 years. It’s not known whether the significance of those abnormalities is in terms of brain function or its effects on a person’s survival. That means more research needs to be done to determine the cause and possible consequences of MRI abnormalities. There is good news for people who suffer from migraines. Dr. Raymond Damadian, the inventor of the MRI, conducted some research using an upright MRI. His research shows that a misalignment in the upper neck alters the flow of cerebrospinal fluid (CSF), which is the fluid that lubricates the brain and spinal cord. The reason for this change is a misalignment in the upper cervical spine. A misalignment of the top two bones in the spine can place enough pressure on the brainstem to hinder the brain’s ability to communicate with the body, thus leading to all sorts of health problems. The good news is that it is possible to reverse things like migraine headaches and many of the other negative effects of that misalignment by realigning the upper cervical spine. Dr. Tymothy Flory, Dr. James Weiss and Dr. Jameson Wong of Atlas Spinal Care in Upland, California are Upper Cervical Specialists trained by the National Upper Cervical Chiropractic Association (NUCCA). Their upper cervical clinic also serves Claremont, La Verne, San Dimas, Glendora and surrounding areas. They are uniquely trained to correct problems in the upper cervical spine (upper neck). This vital area is intimately connected to the central nervous system and problems in this area have been shown to be an underlying cause of a variety of different health problems.